The book "Jazzmen" (1939) claimed New Orleans as the birthplace of jazz and introduced the legend of Buddy Bolden as the First Man of Jazz. Much of the information that the book relied on came from a highly controversial source: Bunk Johnson. He claimed to have played with Bolden and that together they had pioneered jazz. Johnson made many recordings talking about and playing the music of the Bolden era. These recordings have been treated with skepticism because of doubts about Johnson s credibility. Using oral histories, the "Jazzmen" interview notes, and unpublished archive material, this book confirms that Bunk Johnson did play with Bolden. This confirmation, in turn, has profound implications for Johnson s recorded legacy in describing the music of the early years of New Orleans jazz. New Orleans jazz was different from ragtime in a number of ways. It was a music that was collectively improvised, and it carried a new tonality the tonality of the blues. How early jazz musicians improvised together and how the blues became a part of jazz has until now been a mystery. Part of the reason New Orleans jazz developed as it did is that all the prominent jazz pioneers, including Buddy Bolden, Bunk Johnson, Louis Armstrong, Sidney Bechet, Johnny Dodds, and Kid Ory, sang in barbershop (or barroom) quartets. 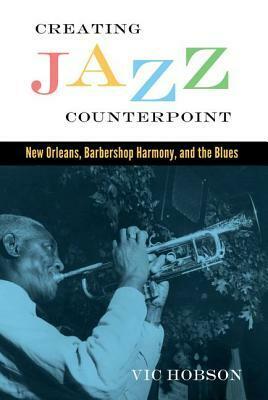 This book describes in both historical and musical terms how the practices of quartet singing were converted to the instruments of a jazz band, and how this, in turn, produced collectively improvised, blues-inflected jazz, that unique sound of New Orleans."